On November 15, 2018, the IX International Forum «Polish Business Day in Ukraine» will be held in Kyiv, which will traditionally bring together representatives of state and local authorities, diplomatic institutions and business community on a regular basis to discuss issues of Polish-Ukrainian cooperation, to establish cooperation and business connections. Building roads and railways: will they bring Ukraine and Poland closer together? The Event will traditionally take place under the patronage of the Embassy of the Republic of Poland in Ukraine and with the support of the Ministry of Infrastructure and Development of the Republic of Poland. The Polish Confederation of Employers Lewiatan. Venue: Hotel “Ukraine”, 4 Institutskaya str, Kyiv. 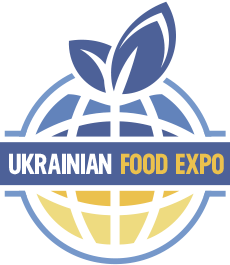 Entrepreneurs from Ukraine and Poland are expected among the guests of the forum, who are interested in business cooperation between two states, have ideas for implementing joint projects and need financial support to start their own start-ups. The history of the International Forum dates from 2014 – since then the Event is held twice a year: in spring – in Warsaw (“Days of Ukrainian Business”) and in the autumn – in Kiev (“Days of Polish Business”). Each time the Forum gathers about 300 participants, including representatives of small, medium and large businesses of Ukraine and Poland. For most, participation in the forum is the first step in launching their own projects, particularly in Poland and other EU countries. Therefore, if you are interested in finding business partners or investors for your project / start-up, you intend to enter the markets of Europe, but do not know where to start, our Event is for you! Contact person in Ukraine – Olena Vakulik, events@eucon.ua, tel. +380 (44) 2380944.